In the past three years, the number of people who’ve gotten into trouble with payday loans has soared. Since the year 2009, four times the number of people have turned to consumer credit counseling services for help because, believe it or not, they had 10 or more payday loans. Yes, that’s 10 or more. It’s true that a payday loan can help. However, it’s important to not have more than one payday loan and to make sure you understand how much it will cost and know for certain that you will be able to pay it back quickly. Payday loans are considered to be short-term credit and it can be helpful unless you don’t understand what the loan costs or especially, if you don’t know how you’re going to pay it back. If you have to take out more than one payday loan at a time, you’re probably headed for trouble. These are high-interest credit loans. In fact, a payday loan can cost up to 400% APR from payday lenders. To make matters worse, the payday lenders tend to promote their loans to those people who are already in trouble. Plus, they will lend money to almost anyone with no credit check and no credit scoring. This makes it easy for someone to get multiple payday loans putting him or her in a real danger of spiraling down into a debt crisis. A payday loan is a short-term loan, usually just for several weeks. To get the loan, you write out a check for the amount you are borrowing, along with the payday company’s fee. The payday loan company holds that check until your next payday, at which time it cashes it. If you don’t have enough money in your account to cover the check at that time, the lender will simply extend the loan and then charge you additional fees. As noted above, a payday loan can be very expensive. You could easily end up paying an APR (annual percentage rate) of several hundred percent. As an example of this, the payday loan company might charge you $20 to borrow $100 for two weeks. This translates into an APR of about 426%. A payday loan can cause more problems than just a high APR. When you sign up for the loan, you may actually be giving the lender the right to go into your checking account to withdraw the money, which can leave you vulnerable to fraud. Your payday loan could end up going into your ChexSystems file so that retailers and banks may be reluctant to deal with you. The lender could also sue you or send your account to a debt collector, which would have a very negative effect on your credit score. Before you sign up for a payday loan, consider that there are alternatives. First, you could build up an emergency cash fund over the course of several months so that you would be literally borrowing the money from yourself. You could also work on your credit score so you could borrow money from standard sources such as a bank or credit union. You might keep an open credit card with a low limit just for emergencies and, of course, you could always take a second job to earn extra cash. 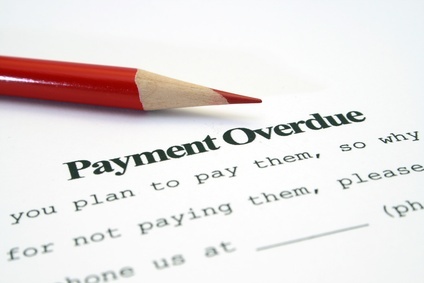 A fifth alternative would be to let our debt counselors settle your unsecured debts for you. They have years of experience working with credit card and personal loan companies and usually save our clients thousands of dollars. You can learn more about debt settlement and how it could help you become debt free in 24 to 48 months by calling our toll-free number. Or fill in the form on this page for a free debt analysis and estimate.